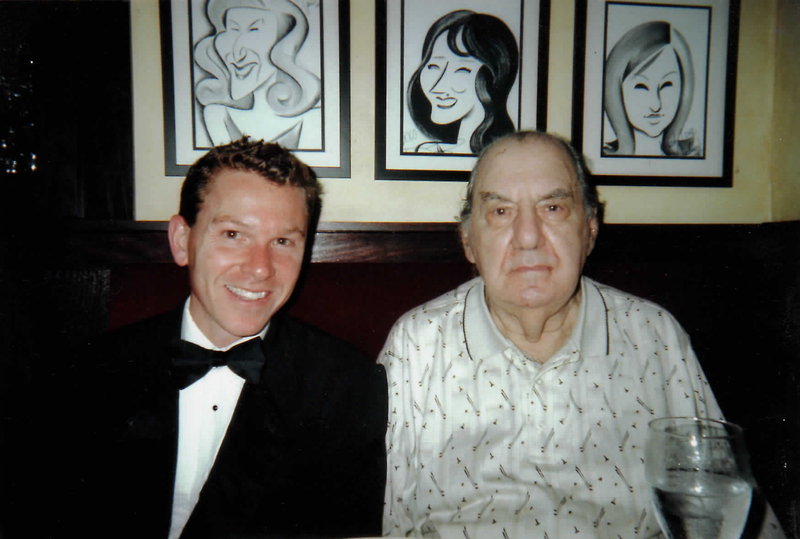 This blog never would have happened, were it not for a visit by the legendary maître d’ Arturo Petterino to the restaurant in downtown Chicago which bears his name. It was late summer of 2008, when 87-year old Arturo, wearing a golf shirt and brown pants, came in with a good friend from California to have dinner and enjoy a manhattan before calling it an early night. I was working there that night, closing the shift out with another server. Arturo, who once commanded the floors of institutions like the Pump Room and Chez Paree, and who had been commissioned for a single night in the ‘50’s by nightclub owner Jack Goldman to seat a Lena Horne performance at the Clover Club in segregated Miami, sat in a booth in my station. All evening, he told stories of his experiences. He detailed his life at the Pump Room, where he lived in an apartment in the Ambassador East, if I remember correctly. He talked about the pathway running beneath State Parkway through which celebrities scrambled to get from the haven of the Pump Room in the Ambassador East to their rooms in the neighboring Ambassador West. And he talked about Frank Sinatra, of course, who became his friend in spite of the mythically-proportioned plate of spaghetti the crooner supposedly flung at the maitre d’, because it wasn’t al dente. I remember walking behind him on my way to the bar to retrieve a glass of wine for another customer. I stared at his slumped shoulders, noting how stately he still walked. It stunned me. I thought about the myriad stories he held in his mind’s vault that could shine a light on a romantic period — an era of movie stars, trailblazers, and authors whose works exemplify the word,” Classic.” Because of the late hours he worked on a near-nightly basis during that golden age, Arturo would never have anyone special to share them with — no children, no one to inherit his wonderful memories. It made my soul hurt. And so a seed was sown that night that would take another season to grow, while I considered how precious his life had been. I reached into the envelope to retrieve the picture you see here, as well as a few others, and a six-foot plant seemed to sprout from the place where that seed had been tossed. I would find Arturo and request time with him to sit and reminisce and record his stories for everyone to read. Moreover, I would talk with others who had walked the same path, gathering their tales of the business. Arturo was staying at a nursing home on Chicago’s South Side. When I called, the nurse kindly connected me with Arturo, whose voice sounded a bit frail. He graciously, classily thanked me for taking an interest in him. You could hear my heart shattering all the way to Davenport. On April 27, 2010, Arturo Petterino passed away from stroke complications at the Loretto Hospital on South Central Avenue in Chicago, joining Frank Sinatra, Donna Reed, Jackie Gleason, and the many others in the Great Nightclub in the Sky. I hope Lena Horne was silkily singing into an RCA microphone when he opened the door; that his old friend Irv Kupcinet was there with a pen and notepad on the table, ready to write Arturo’s stories into the Book of Time; and that Sinatra had the curtains of Booth One pulled back. And I hope they stopped what they were doing when he came into the room and escorted him to the finest seat in the house. My first interview for this blog was in April of 2009 with Marie Ursini, Petterino’s AM maitre d’, longtime friend of many who work with her in Lettuce Entertain You, and a tremendously beautiful woman. Focusing on her experiences in the industry and her relationships with the many politicians and celebrities she’d met over the years, her remarks also made it clear that such stories were a colorful and fascinating record of a certain side of our history as Chicagoans. The idea for AMERICAN MAITRE D’ continues to evolve over many months’ worth of interviews. There are new elements to share, inspired by the insights of this unique group of people. I hope you enjoy these first-hand accounts. Each illuminates a piece of life in Chicago that we’ll see no more and only grow dimmer as days pass into weeks, weeks into months, and months to decades. As for Arturo and his legend, I’m opting to respect the grace with which he left the earth and to recognize his stories as secrets from another time, which we’ll only hear when we open the door to the place where he’ll seat us, with men always facing the doorway, to see the beautiful women as they walk in. This one’s for you, Arturo. Thank you.